The end of an era: What comes after financialisation and what will be the consequences for labour? The global financial crisis that started in 2007 is marking the end of an era. This era has been characterised by deepening financial markets, a growth process driven by the accumulation of household debt and the international financial dominance of the North. The disruption of financial markets and the shake-up of the world trading system, however, are likely to undermine this economic model permanently. As a result of the crisis, new regulation may be introduced, political and economic power is likely to shift from North to South and new actors will be entering the scene. Most importantly, the legitimacy of earlier policy prescriptions which have led to a rising trend in social inequality has been significantly undermined. Will this ring the bell of a new high era for labour as during the Fordist period? Or, in contrast, will distributional battles stiffen? What will be the new sources of growth and who might benefit from them most? The jury is still open as we are in the middle of the battle storm, but some new trends are already emerging that will shape the future ground for global governance. 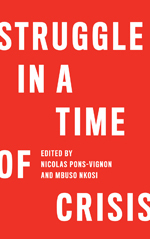 To understand the dynamics of the recovery and get a better grasp on different exit strategies from the crisis, it is useful to widen the scope and take a politico-economical perspective. The main actors in this play are financial investors and their lobby groups, employers and employers’ associations as well as workers and trade unions. In the post-war era with its large companies and relatively uncontested markets, benefits from growth were shared between employers and labour, often at the expense of financial investors. This changed when power shifted during the era of financialisation to financial investors as a result of freer international capital flows and more open goods markets, and led to an erosion of labour’s bargaining power. Some of the factors that triggered that shift are still at work today. What has changed, however, is the legitimacy with which the community of financial investors has argued in the past for less stringent regulation and freer international capital flows: The crisis has undermined this position even in the eyes of the most favourable observer and this might result in a rebalancing of power and sharing of future benefits from growth. Shifting power will be shaping the crisis exit and recovery on two levels over the coming years: At a first, immediate level, governments and lobby groups will clinch over how best to regulate financial markets in order to restore some sense of medium-term stability. This may imply stricter rules for banks to hold larger stocks of regulatory capital or additional taxes to fund a – government-sponsored – financial safety net. It may also entail new rules to curb international capital flows, in particular the more volatile, short-term speculation on currency markets, and to limit or prohibit the use of certain types of financial products, deemed particularly dangerous for the stability of the system. Quite naturally, the banking industry and financial sector lobby groups resist any attempt to such regulation or make only minimal concession. The absence of a single international coordinating body that could produce a new international regulatory framework – the Bank for International Settlements is only a voluntary body and the International Monetary Fund does not have a mandate wide enough to cover all of these aspects – helps such lobby groups in limiting governments in their regulatory ambitions. In addition, governments are increasingly constrained by financial markets in their quest for new financial sources to fund their rising public debt. Even though deficit ratios are likely to go down with the economic recovery, existing debt has almost doubled in size in some countries and will need to be (re)financed in the future, creating favourable margins for political lobbying by financial investors. At a second, more remote level, different actors will strive for new sources of growth. Such a trend was already visible before the global crisis as several larger economies showed signs of exhausting earlier productivity gains. The debt-driven recovery during the 2000s was temporarily hiding these structural problems but is unlikely to be an acceptable or feasible source of growth in the future. New growth patterns require investment, however, and different views on what constitutes sustainable long-term growth will compete for scarce funds. One particular fault line will be whether these new growth drivers must be sought domestically or internationally, intensifying the use of export-led strategies. Clearly, a more sustainable long-term recovery of the world economy would require a stronger balance between domestic and foreign sources of growth. Strong interest groups, however, particularly in those countries heavily relying on external demand, have already started to push for policies to restore (price) competitiveness for faster export growth. Strengthening domestic sources of growth, on the other hand, would require reorienting private and public investment towards new sectors, such as environmentally–related industries (“the green economy”) or care services. To be fair, both sources – domestic and international – are not incompatible but the coming regulatory changes – especially regarding international financial transactions – will have implications for their relative importance in the recovery and over the medium-term. In a first scenario, finance wins on both accounts: Financial regulation will be minimalistic and international capital markets remain wide open. Governments are constrained by their lack of additional funding, making any attempt for reorienting the growth process towards new, more sustainable sources difficult if not impossible. In this scenario, job volatility will remain high, employment growth may recover to earlier rates but with the heightened risk of new periods of financial instability and crashes. In a second scenario, finance dominates the regulatory process but sources of growth will be sought domestically. This may happen when protectionist reactions take over during the recovery phase. World trade will not return to earlier rates of expansion and global growth may remain below pre-crisis rates. In this scenario, employment may lose out on two grounds: Economic dynamics is lower and – due to the financial market dominance domestically – job volatility will remain high. A third outcome might be that financial market regulation stiffens substantially but that international market openness continues to uphold. Such financial regulation may follow today’s best practice countries (e.g. Canada) and banks may be required to hold higher reserve margins or to participate in a country-wide stabilisation fund. Markets for goods and (financial) services remain open but the more restricted financial sector activity at home and the domestic quest for new sectors of growth improves the bargaining power of workers and creates new opportunities for employment. Destruction of jobs in declining industry may remain high but so will job creation in new sectors. In this scenario, transitory job and worker flows are likely to be large and governments will need to make sure they put policies in place to help this process. Finally, a last scenario might be that governments manage to impose a search for new domestic growth drivers. World trade is gradually being scaled down both as the result of a more restrictive international financial regime and due to – possibly environmentally-related – tariff barriers. Bargaining power shifts back to labour, employment creation intensifies and profits will be shared more directly between firms and their workforce instead of being distributed to financial investors. We are at the beginning of this process and it can only be considered a Herculean task to evaluate the likelihood of any of these scenarios. Being aware of them, however, can shape current and future policy debates so as to make sure that only those outcomes might be sought that promise the highest benefits to the real economy and ultimately translate into more and better jobs. What is emerging from these four scenarios is that domestic financial sector regulation is key for governments to shape the process of future growth. Even in the absence of international coordination, governments can gain the upper hand through carefully managed regulatory changes that reorient financial sector activities to support the real economy.